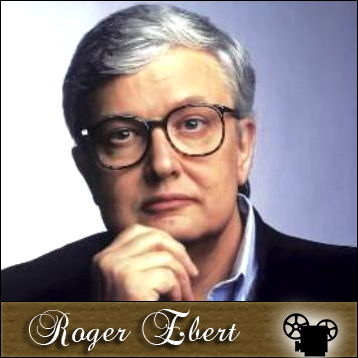 Roger Ebert, a critical thinker, skeptic, and atheist, was best known for his work as a movie critic. His career in reviewing films began in 1967 as a part of the Chicago Sun-Times newspaper publication, then in 1975 he teamed up with Gene Siskel of the Chicago Tribune and together they co-hosted a weekly television show featuring sneak previews along with their critical commentary that included their uniquely famous (and trade-marked) signature "thumbs up / thumbs down" review summaries. The lesser-known but more important contributions to society by Roger Ebert, included advocating awareness of public controversey (which is constitutionally protected by "freedom of expression" in the USA where he lived), strongly discrediting Creationism (a.k.a., Intelligent Design) and new age pseudo-scientific nonsense like crystal healing and astrology, religion, and famously contributing to the war against junk eMail (a.k.a., "spam") by creating and promoting The Boulder Pledge. Freedom of expression was a value that Roger Ebert understood very well and was passionate about regardless of whether video cameras were rolling. He was known for speaking up against those who tried to impose restrictions on these important freedoms, and his arguments often engaged his opponents as well as those who agreed with him. In addition to being a famous person, he was also articulate and presented meritorious arguments and meaningful perspectives that relied on logic rather than fame to convince others. In 2002 he needed surgery to remove cancers, starting with Thyroid cancer, and then later losing his ability to speak in 2006 after another surgery just two days before his 64th birthday. Roger Ebert passed away on April 4th, 2013, at the age of 70, after 11 years battling cancer (and a few other ailments and complications along the way), yet he managed to write a final optimistic blog posting for his fans on April 2nd, 2013, that read "So on this day of reflection I say again, thank you for going on this journey with me. I'll see you at the movies." 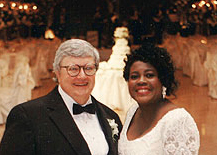 Chaz Ebert, Roger's wife (a successful trial lawyer), added an entry to his blog following his passing that read "I am devastated by the loss of my love, Roger -- my husband, my friend, my confidante and oh-so-brilliant partner of over 20 years; he fought a courageous fight. I've lost the love of my life and the world has lost a visionary and a creative and generous spirit who touched so many people all over the world. We had a lovely, lovely life together, more beautiful and epic than a movie. It had its highs and lows, but was always experienced with good humor, grace, and a deep abiding love for each other."